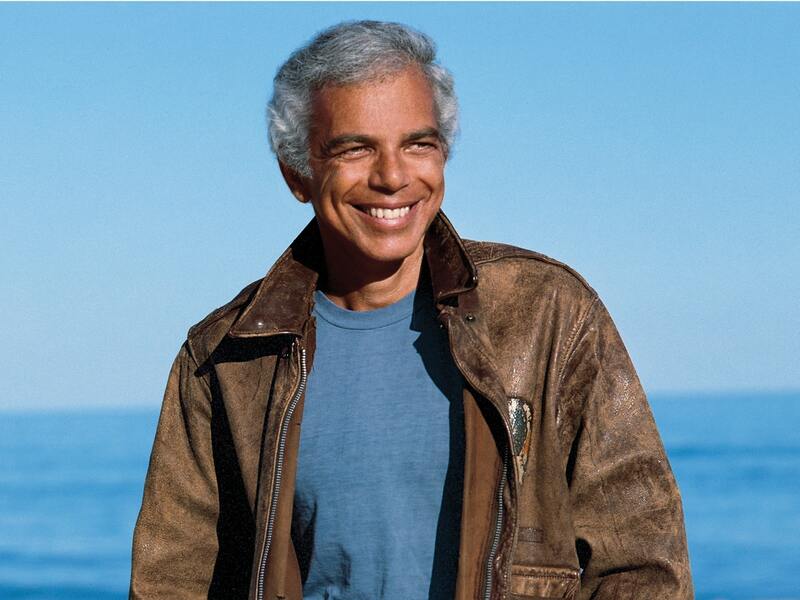 Ralph Lauren needs no introduction. As his eponymous brand celebrates 50 years of unprecedented success in embellishing our lives with apparel, home furnishings and accessories, we sat down with the man behind the marque to chat about its beginning, how it continues to thrive and why the Hamptons will always hold a special meaning. Lauren seems to find respite and inspiration in spending time at the Atlantic Ocean. Here, in the fall of 1985, he poses in signature Americana style. What does the semicentennial celebration of the brand mean to you and your team? 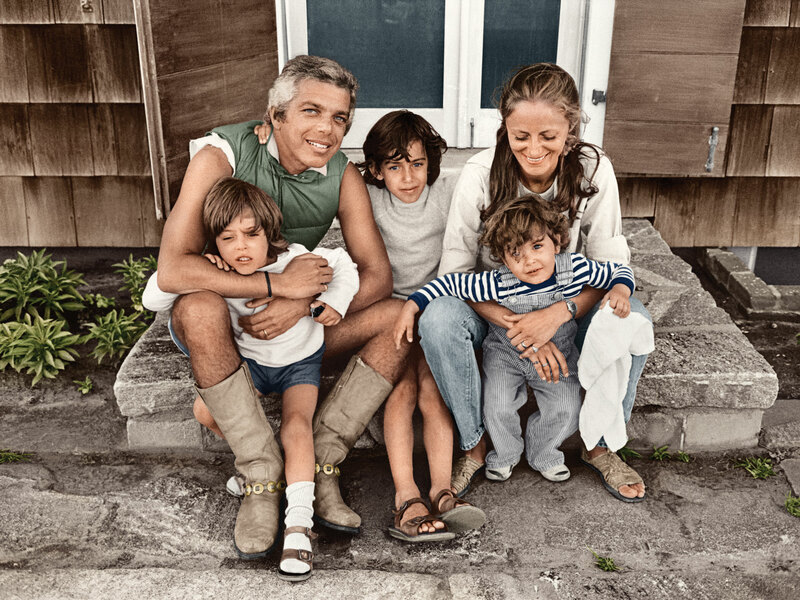 RALPH LAUREN: As a company, we’ve celebrated so many milestones over the years, but 50 years seems like a really big one, and a time to reflect not only on where we’ve been, but where we’re going! That’s the exciting part for me and my teams, to know that together we’ve created more than a brand but, for many people around the world, a way of life. You’ve witnessed the evolution of your industry up close and personal. What are some of the collective fashion moments you remember most fondly? RL: I have always been so proud when our industry comes together to support important causes beyond fashion. The Council of Fashion Designers of America, the organization founded by Eleanor Lambert in 1962, drove many of these causes to create a voice for American fashion. Our voice has impacted so many causes, but the one I am particularly proud of is the Fashion Targets Breast Cancer initiative. My company and I created the name and the blue-and-black target symbol that was displayed on a simple white T-shirt and introduced at New York Fashion Week in the spring of 1994. 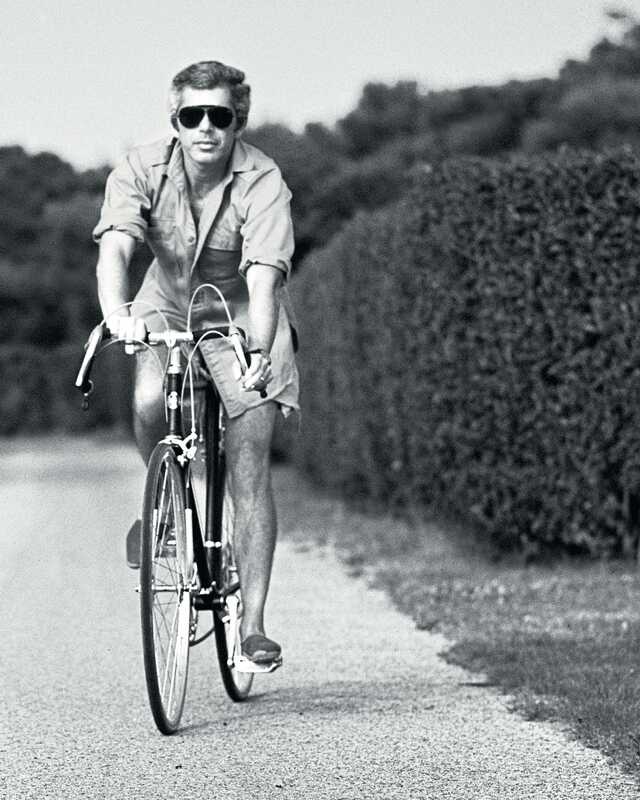 Ralph Lauren out for a leisurely bike ride in the summer of 1977. You are truly an American fashion icon. What do you hope the world can take away from your designs that speak best about our culture? RL: I’ve always loved the spirit of this country. America was a place people came to celebrate their independence, to fulfill their dreams for themselves and their families. That’s how I started out with designing a wide tie. It wasn’t easy, but I stuck to my vision and that tie was a commitment to myself to do what I loved and give it my all. It was exciting, and that tie grew into a whole industry—a whole world. I think the people that are drawn to my clothes are drawn more to a way of living that is optimistic, to things that have quality and authenticity and a timelessness that reflects their own individuality. Your embrace of craftsmanship and tailoring is the stuff of legend. Are there any historical or contemporary figures who may have informed your approach and that signature Ralph Lauren aesthetic? RL: I am always inspired by the people I meet, the places I travel to, movies, music, stories, books! I have loved the personal style of many different individuals—some of them famous, some of them not, but it was never just the clothes they wore but who they were, their personalities, their character, the way they lived. 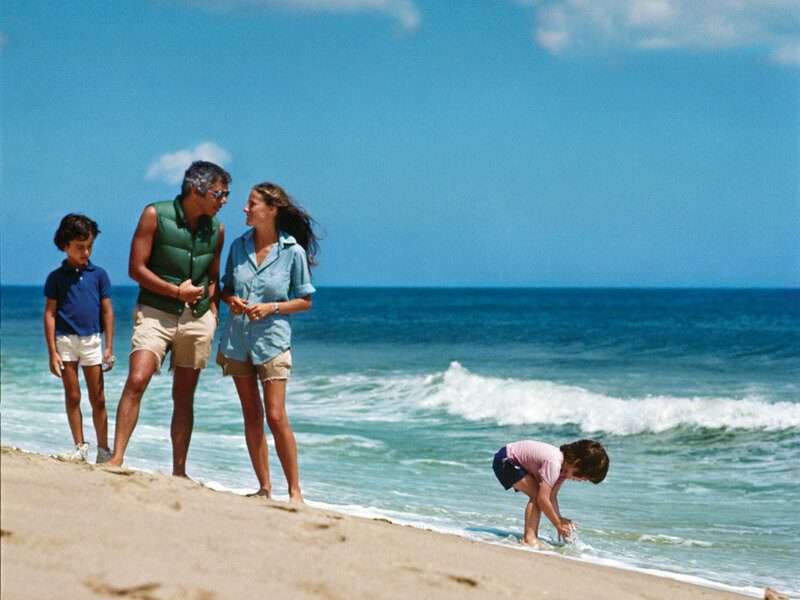 Ricky and Ralph Lauren walk through the surf in 1977. How difficult is it to create a strict vernacular for a brand and then stick to it? What was that process like for you? RL: The brands I’ve created over the years evolved out of my life and the things that I loved or the things that I aspired to have that I couldn’t find. I started with Polo for men and then a few years ago I felt it was time to create that same spirit for women. Though each brand has its own signature and personality, I always believed the same man that wore Purple Label would wear Polo or RRL. I feel that way about women, as well. The same woman who wears Collection would mix in pieces from Polo or RRL. I don’t believe in one can be too rigid in creating brands. There is an overall spirit in everything that I do that embraces all the brands. Your footprint out East is impressive. What is it about the Hamptons that continues to inspire you, and how has it informed your aesthetic? RL: The Hamptons have been part of my life with my family for a very long time. I love the ocean, the salty breezes, the rustic shingled cottages, the lighthouses, the special quality of light that drew so many artists here. Though it’s always been a place for me to get away from my work and my life in the city, it’s also inspired a certain kind of lifestyle aesthetic in my design process. My life and my work are really one, so I never totally ‘get away’ from what I do. Life in the Hamptons has always inspired a very American informal attitude in what I design. I look back at early images of me and Ricky and the kids wearing cutoff chinos, chambray shirts, weathered jeans, overalls and even Birkenstocks with kneehigh cabled socks. The clothes I wore and the spirit they inspired had a very American sportswear attitude—very authentic, easy, comfortable, individual. They still do. Ralph, Ricky, Andrew and David on the beach in 1977. As the publication celebrates its 40th anniversary, are there any issues or stories covered that stood out? RL: First of all, congratulations to all the teams—past and present—of Hamptons who have covered my work, my life and my family’s for four decades. I was just reviewing an issue from September 1982 with a charming picture of me and Dylan on horseback. She’s trying to put a bouquet of buttercups under my chin. Reading through the article, I was struck by one of my quotes that was highlighted—‘I put love in the clothing I design.’ I still do that. Is it important for a designer to be rooted in a community as much as you are out East? RL: Particularly for those of us who lived in big cities, having a community that is close-knit and of a smaller scale is so important. When we first started spending summer out East, the villages of the Hamptons reminded me of the way the small towns of America began with a Main Street populated with a general store, a post office, a restaurant with homemade pies and good coffee. Of course things change and grow, but there is something of that small-community feeling that still exists. Lauren with his wife, Ricky, and three children in 1977. Can you predict what the future of fashion will look like? What are your thoughts on how the formula for success in fashion has changed over the years? RL: I’ve always believed in style, not fashion. Fashion is of the moment, therefore impossible to predict. Style for me is defined by the woman or man who create it for themselves, therefore it’s real and authentic, and that’s what’s always inspired me. Our new CEO, Patrice Louvet, and I were talking about what business we’re in. Patrice said he thought we were in the ‘dream business.’ I think as long as you can inspire people to dream of a better life through quality and an authentic kind of style, then you’ll be successful. I think that’s what we’ve done for 50 years and we’re still here.